Visits to the club's premises are by invitation only. Contact the club's secretary, president or archivist for further information. 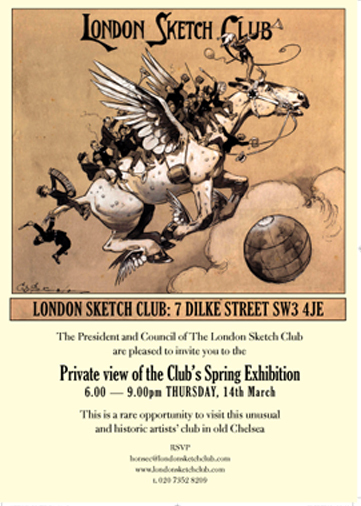 The London Sketch Club is an historic graphic artists' club located right in the heart of London's Chelsea. Although over 100 years old, it still remains one of city's best-kept secrets, forming a link with the artists, illustrators and writers of a century ago. With a membership drawn mainly from fine artists and designers, its social activities revolve around life drawing and painting, and during the winter months, around evenings of live entertainment hosted by some of its braver members.